Vengeance is such a sweet double edge sword that many uses it to settle some score. But no matter how sweet and self-fulfilling it would become, it still entails a lot of repercussions, especially for the one who committed it. Having scenes that felt like The Fight Club, Out of the Furnace is directed by Scott Cooper, who also wrote the movie together with Brad Ingelsby. The movie stars Christian Bale, Woody Harrelson, Casey Affleck, Forest Whitaker, Willem Dafoe, Zoe Saldana and Sam Shepard. Watch the trailer of Out of the Furnace trailer. From Scott Cooper, the critically-acclaimed writer and director of Crazy Heart, comes a gripping and gritty drama about family, fate, circumstance, and justice. Russell Baze (Christian Bale) has a rough life: he works a dead-end blue collar job at the local steel mill by day, and cares for his terminally ill father by night. When Russell's brother Rodney (Casey Affleck) returns home from serving time in Iraq, he gets lured into one of the most ruthless crime rings in the Northeast and mysteriously disappears. The police fail to crack the case, so - with nothing left to lose - Russell takes matters into his own hands, putting his life on the line to seek justice for his brother. The impressive cast of Christian Bale and Casey Affleck are rounded out by Woody Harrelson, Forest Whitaker, Zoe Saldana, Sam Shepard and Willem Dafoe. 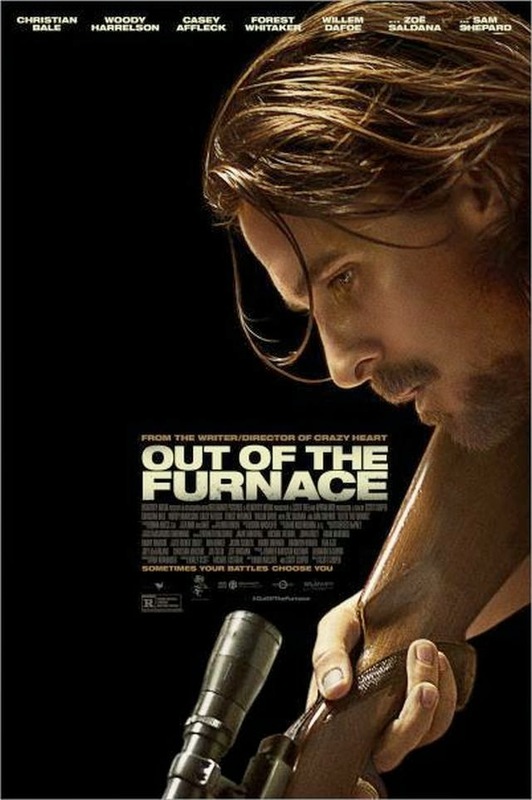 Out of the Furnace will be released on December 6, 2013.